AdvantagePlusCaregivers.com® is always looking for Caring, Qualified, Personable, and Experienced Caregivers. Before you get started on the application process, let’s make sure that you are in the right place. AdvantagePlusCaregivers.com® primarily provides Home Care Aides (HCA) to care for people in the home that need non-medical care or assistance with the activities of daily living primarily for the elderly. We have assignments in facilities and in the care recipient's home. AdvantagePlusCaregivers.com® believes in providing quality care to its Care Recipients. To do this, we employ only experienced, well-referenced and trained caregivers who can provide our Care Recipients with the very best attention and assistance as you encourage them to be more involved in their self directed care. We have a very low turnover rate with our caregivers because we "care" about our caregivers through consistently higher wages. 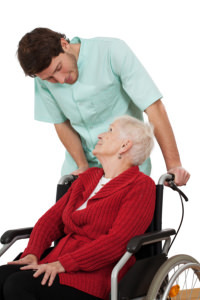 We pride ourselves in our ability to match our care Recipients with the appropriate caregivers. How your skills, experience and schedule availability match the care recipients' needs will help determine how often you will work. You will find that we are straightforward in our operational style. We believe in providing as much support as possible, treating you fair and honestly. In return, we expect you to do your job well and treat our Care Recipients, your fellow workers, and us fairly and honestly. That means dressing professionally, having good hygiene, being prompt and reliable, and always maintaining a polite and friendly attitude. In addition, it is very important that you enjoy providing personal care and compassion to our Care Recipients. It is the personal care you provide and your compassion that makes AdvantagePlusCaregivers.com® a highly successful place to work, enabling us to provide more care and more work for more people. Your success helps build our success. Our Company Culture says it all! We are all about the care!